When the title of Sultan is supposed to be hereditary, calling the title yours six times in a row is special. 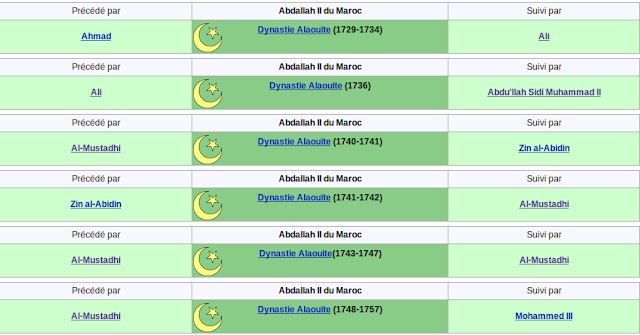 Abdallah of Morocco had the dubious pleasure to fight his many brothers to finally gain the upper hand. On the French Wikipedia, they have visualised this nicely. This information is available on Wikidata using qualifiers. As the use of qualifiers to indicate who preceded and succeeded as Sultan is not universally liked, the question is very much what could serve as an alternative?